The program at BAKS is independent and progressive, taking what we think are the best ideas and materials available, and creating a nurturing and inspiring environment that helps our children grow on all levels: emotionally, physically, socially and intellectually. The BAKS philosophy is based on the conviction that play is the essential way in which preschool children experience and manipulate their environment. Children come to school with a deep curiosity about everything. BAKS therefore offers many unhindered play opportunities and provides a selected variety of activities to choose from at any time. We believe that child-initiated and teacher-supported play is the most effective tool for wholesome development. The goal of the preschool experience at BAKS is to provide learning experiences that are developmentally appropriate to meet the diverse needs of children, foster independence as well as social skills, and promote a positive attitude to lifelong learning. The BAKS curriculum serves an age-group from 2.5 to 5 years. Most activities are carried out in the group as a whole, emphasizing a sense of belonging and community, while still allowing for the creation of smaller groups for age-appropriate activities. One such example are the Pre-K activities for our four and five year old students, which occur three times a week. Each age group is playfully identified with an animal, also represented in the BAKS logo: the youngest start out as "Igel" (hedgehogs), children in the second year become "Hasen" (bunnies), while the oldest grow to be "Füchse" (foxes). The small size of the school and intermingling of ages allows children to assume various roles during their time at BAKS. Nurturing and leadership roles rarely afforded in same-age preschool groups are customary for our older children, while the younger children clearly benefit from this modeling. Learning at BAKS takes place within a theme-based curriculum centering on project-oriented learning. Every six weeks we introduce a new theme - examples could be topics such as " the Body", "Water", "Professions", or "Holidays around the World". 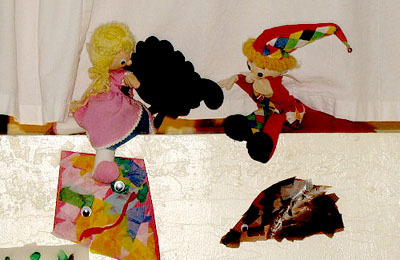 Structured activities are offered around the current theme and season, ranging from storytelling and performance, Kasperle theater (puppet theater), reading, art projects, music and movement, cooking and baking, nature exploration and gardening, to celebration of traditional German and American holidays, mixed with generous time for free play. Music: Qualified German music teacher Steffi Baldwin teaches music to our children once a week. She incorporates singing, movement, rhythmic education, instruments and voice training in her play-based and child-centered approach. Judo: Sensei Dan who is the owner of Hanabi Judo in Albany personally teaches our children judo once a week. The children learn commands and basic judo movements in English and Japanese. Creative Cooking: Once a week the children prepare together healthy snack recipes and increase their fine motor, cooking, measuring skills and recipe "reading" with our chefs Bea, Maren, Hatun and Alexandra. Learning Garden: During the school year the children tend our gardens with Yvonne and Bea on a regular basis. We plant, explore the habitants of the soil, harvest and enjoy our own fresh produce. We playfully enhance physical activity, language arts, healthy eating habits, and environmental awareness. The BAKS curriculum is strengthened by an emphasis on time spent outdoors, during play time on the recently redesigned play yard or on nature walks conducted by teachers. Regularly scheduled field trips include destinations like farms, professional businesses, cultural events and theatrical productions in order to further provide depth and context to our curriculum. Last but not least, the focus on German language development exposes the children to a variety of language-stimulating experiences that give them ample time to talk, listen and sing in German. Children that develop within the BAKS program experience an enriching educational exposure with lifelong benefits for learning foreign languages. Studies suggests that children who learn a second language, early on, benefit developmentally in the fields of creativity and complex problem solving. The celebration of the customs and rituals that make up our unique multicultural community fosters cultural understanding and opens children's horizons to the wider world.